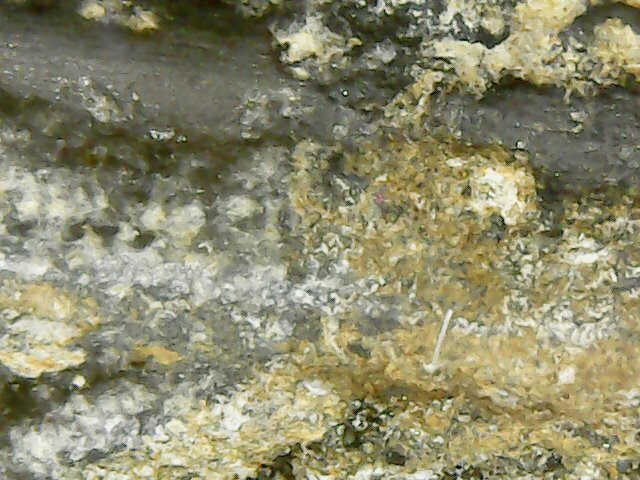 In further research, I feel the presence of ankerite and dolomite may be secondary components to the gold used in coating the statue. Many of the gold deposits in China contain these minerals. could these "flakes" be gold?